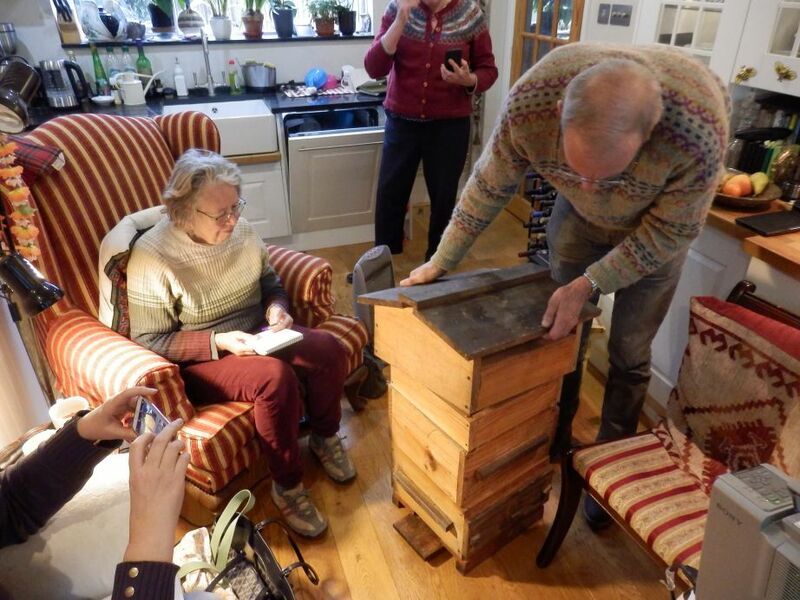 15 of us converged at Zuzana’s to see her Top Bar Hive, and particularly how to move bars around an occupied hive to make room for the nest to expand. This is necessary in large, established colonies in this type of hive as they can bottle themselves into one end of the hive with a wall of honeycomb for winter, then find the honeycomb prevents them expanding the nest again for Spring. This is explained in a lot of detail, along with other TBH management practises in Les Crowder’s excellent book Top-Bar Beekeeping, but as several people commented, it’s one thing reading about these practises but sometimes it’s easier to grasp when physically demonstrated. Fifteen of us gathered at Mary’s in Oxford to share a meal, view her hives, and discuss bees and particularly preparation for the forthcoming swarm season. “So what are you going to do with the bees?” it was the first question that anyone asked when I said I was moving house. The bees had lived for two years in a back-garden hive but now the tenancy was coming to an unexpected end. I needed to find new places for both me and the bees to live – and house-searching with a bee colony in tow didn’t seem to be a sensible option. “Can you set them free?” asked Cassie, one of my colleagues. I tried to explain that they were already free: “they can already go wherever they want, they choose to come back”. Yet somehow she imagined that I could unpick whatever sage-scented magic drew them into the hive and send them pouring forth into the world, perhaps the swarm forming the shape of an orca whale as it brushed my outstretched fingertips and breached over the fence towards the Elder Stubbs allotments. 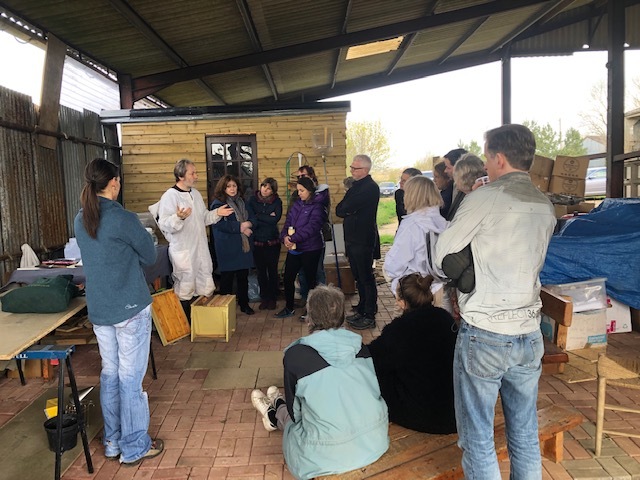 In early February, we held a couple of afternoon training sessions for new beekeepers, to give them an outline of what’s involved in keeping bees in the UK. We started with basic biology, and how this drives their very alien behaviour – their social interdependency; how they perceive the world through very different senses; and why they exhibit behaviours like swarming and making honey. 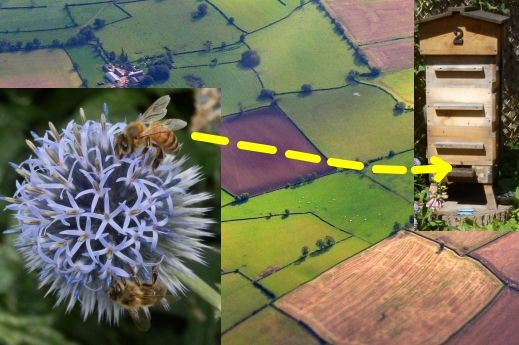 The “3 foot / 3 mile” rule-of-thumb refers to how if you move a hive more than 3 feet, sometimes returning foragers cannot find it. Their internal maps are so precise they get confused, and keep looking where the entrance “ought” to be. To move a hive to a new position, you can do it in small hops, one a day. If you move the hive far enough away they will re-orient on the new position, but “far enough” is 3 miles. If the new position is nearer to the old one than that, they recognise landmarks and navigate back to the old one. 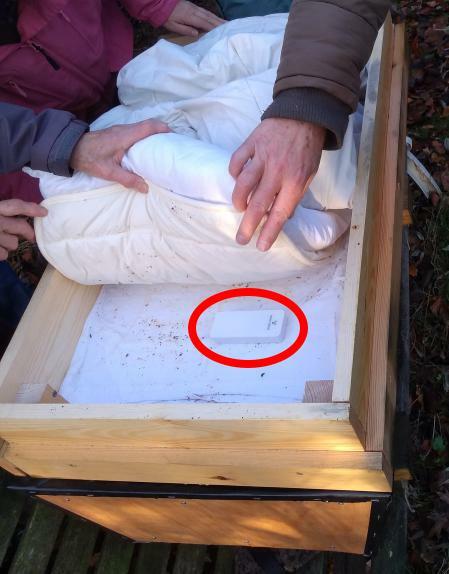 Eight beeks and some interested neighbours gathered at Gilliane’s house on the edge of Oxford to see her hive upgrades with cork insulation, how she remotely monitors the temperatures inside them, and to swap bee stories. 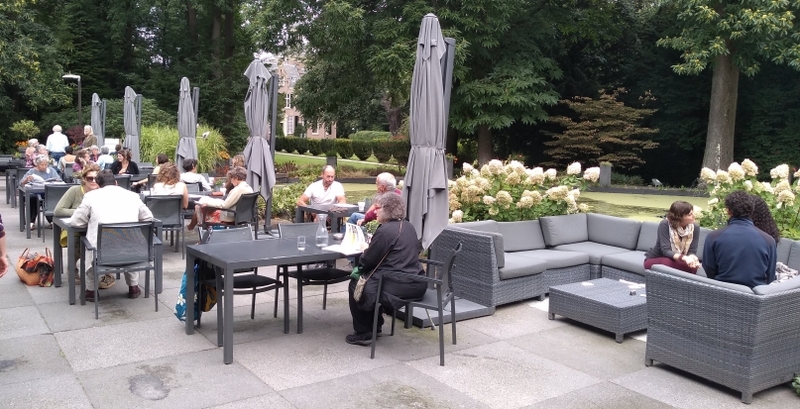 In my earlier post on the Learning from the Bees conference, I discussed the “who was there and what it was about” aspects. 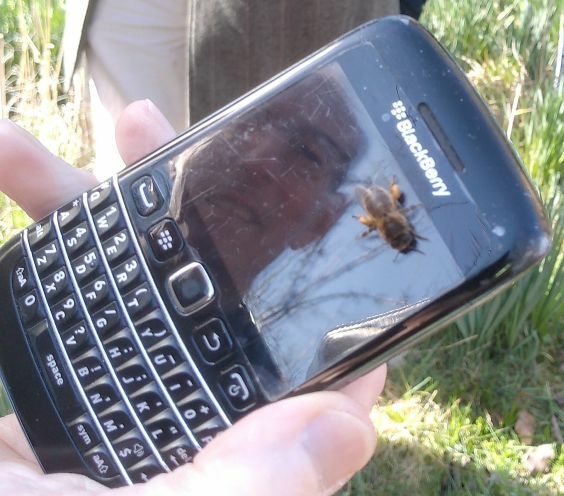 This article covers what I actually learned about bees. I always particularly enjoy lectures and books covering “weird stuff I have seen over many years which you won’t find in any book” and there were several speakers on this, and opportunities to learn about exotic situations from foreign beekeepers.